One of the big subjects of discussion in the banking industry earlier this year was the publication of the Millennial Disruption Index, stating that millennials view banks as irrelevant and placing traditional retail banking at the highest risk of disruption compared to other B2C industries. Accenture’s Banking 2020 report confirms this and draws a parallel to the challenges the telecom industry faced 20 years ago and states that non-banks will take a third of incumbent banks revenues by 2020. With the rise of mobile wallets, peer-to-peer payment, micro lending and various personal finance tools, the banking industry faces a new breed of competitors from the technology industry. Notable examples include eBay which has been in the payment space for a long time with PayPal, and is now strengthening its foothold in mobile payment by integrating Apples fingerprint reader into PayPal. Google has tried entering the payment space with the discontinued Google Checkout andGoogle Wallet. Amazon is targeting the mobile payment space through acquisition of GoPago, as well as challenging Square with a planned launch of a similar payment processing solution. Facebook, on the other hand, is targeting the $500+ billion global remittance market. The common denominator for the challengers is that the majority of the companies are targeting the payment processing space. Both Bank of America and Capital One say not to worry, since this is old news and it only disrupts the peripherals of the banking value chain.But the real implication as with any form of value chain disruption is the probability of payment processing becoming a commodity. A catalyst for a commoditization of payment processing is the introduction of cryptocurrencies and new payment protocols like bitcoin and Ripple, which renders clearing obsolete and dramatically lowers the transaction cost for merchants. As a comparison, the transaction cost for payments through Visa/Mastercard/PayPal is ranging between 3-5 percent depending on the transaction size. The transaction cost for bitcoin on the other side is as low as 1 percent with continuing efforts to reduce transaction fees from the bitcoin community. To accelerate the development Bitpay recently announced removed the transaction fees on the starter plan, offering free unlimited payment processing to merchants accepting BitCoin. With eBay considering integrating bitcoin into PayPal and Apple reentering bitcoin wallets likeBlockchain into the App Store cryptocurrencies as a default payment method becomes an alluring option for profit-seeking merchants looking for cost effective solutions. This places the challengers in a sweet spot somewhere between the banking and the retail industries through digital wallets and disruptive payment platforms. A commoditization of payment processing will require new business models where cash no longer is king, but analysis of the information gathered through transactions is the new competitive advantage in the digital payment processing space. Ovum’s report, “Loyalty and Location Based Payment Services” predicts that loyalty and analytics is the primary growth driver for mobile payments. It states that this will require new partnerships between payment providers, merchants and third-party analytics vendors like Oracle and IBM, where the latter already has entered a partnership with Monitise in order to deliver cloud-based mobile solutions for the financial services industry. Starbucks is one example of the business potential in combining loyalty programs and payments and reports that mobile payments stands for over 15 percent of U.S. sales from the third quarter, and is considering selling its software to other merchants. These changes to combined with increasing sector complexity due to industry convergence,capital requirement regulations, industry consolidation and diminishing ROE (Return of Equity) compared to before the financial crisis poses great challenges for banks in the years to come and creates a perfect storm seemingly favoring new entrants and the technology industry’s inherent ability to experiment and willingness to try and fail. Despite an entrepreneurial spirit and independence from antiquated legacy systems, barriers to entry are rising. Glen Fossella states in an interview with American Banker that regulatory complexity and compliance demands will become such a growing burden for new entrants, that it is both faster and cheaper for incumbents to acquire or partner with startups. Squarelearned this the hard way and was fined $507,000 in Florida for operating without a license. He also advises banks to invest in startups, acquire and hire entrepreneurs or hire talent from technology companies. The leading example when it comes to preparing for the rise of digital payments is Visa. VisaCEO Charles W. Scharf stated that the leading payment network is counting on new digital services to power future growth, although Visa presented an 11 percent rise in third-quarter earnings from global payments. One of these initiatives is the creation of Visa Digital Solutions with a wide array of offerings. This includes the launch of Visa Checkout, the successor to V.me, Visa Cloud Payment Solutions and, more exciting, the tokenization service that substitutes traditional credit card numbers with a digital token. Visa also opens up for collaboration with developers and technology companies with these new services. 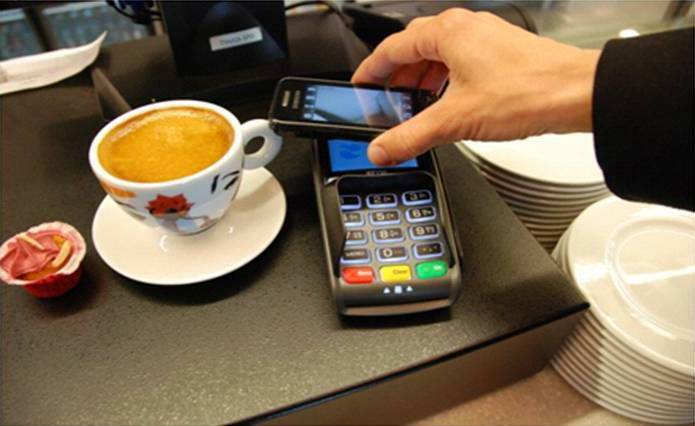 In addition Visa revealed an investment in LoopPay, a mobile payments solution accepted at the majority of point-of-sale terminals. Through these initiatives, Visa sets a leading example for incumbents in the payment ecosystem by showing a try-and-fail mentality, as well as long-term commitment through repeated mobile wallet initiatives, willingness to invest in promising startups as well as collaborating with partners to encourage open innovation. Banks and financial institutions should view Visa as a leading example in order to secure a position in the digital payment ecosystem. And let’s face it. A bank will never be viewed as cool for the millennial generation. But banks represent safety for the consumer, and it is possible to make banking somewhat less boring through adapting new technology and acquiring new innovations. ← Will Google enter the insurance industry?